By listening carefully to you, Diane is able to provide optimum service for each client. Buyers are updated daily on new listings that fit their specifications. Sellers are given reports detailing progress on their home sale. When she is working for you, you never feel left out of the loop. Diane takes the stress out of a major decision and makes it fun. She thoroughly enjoys people and has a great sense of humor. 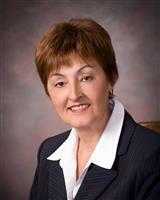 A second generation Realtor, Diane has grown up around Real Estate and started her own career in 1986. She loves what she does and will go the extra mile for her clients. Diane will even find you the right Realtor, anywhere in the world, to help you with your relocation. A Graduate of the Real Estate Institute (GRI). She has received the designations of Senior Real Estate Specialist (SRES), Internet Professional (e-Pro), Leadership Training Graduate (LTG), Accredited Buyer's Representative (ABR), Referral & Relocation Certification (RRC), and Performance Management Network (PMN). Diane was awarded the 2004 Realtor of the Year Award by the Ocala/Marion County Association of Realtors, and the 2003 Distinguished Member Service Award . 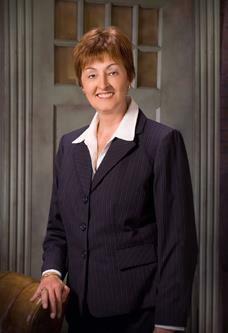 She was also awarded the 2001 Member of the Year from the Ocala Women's Council of Realtors. Diane was named the 2005 RPAC Realtor Political Action Committee Chairman of the Year for the Florida Association of Realtors. Diane is a Past President of Ocala/Marion County Association of Realtors and the 2012 President of the Florida State Women's Council of Realtors. You can find her on Facebook and LinkedIn under Diane McCombs. Please feel free to contact Diane with any questions you may have about our area. We have some wonderful communities where neighbors are friends and people care about each other.